Tyrannovox: Show @ THE LOFT Jan. 12 + GUANO LOCO recap! 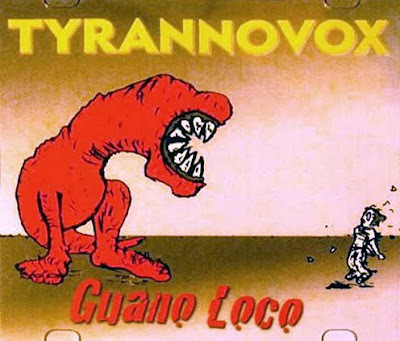 Show @ THE LOFT Jan. 12 + GUANO LOCO recap! We have a new show date to announce: January 12 at The Loft. The event is called Renegade Wednesday, and people of all ages are invited. We had a great time at The Loft the last show we played there, so show up and help us make it a repeat success. is the title of our first album. We're making slow but steady progress on the new one, which has me thinking back on how it all started. You can listen to the album using the players below and read on while the songs play. In a month, it will have been three years since Mike, Ray, and I came up with the jams that would become the first Tyrannovox songs. Mike brought in a lick originally written by his uncle, our esteemed photographer David Loomis. That lick germinated into "Crooked House." Ray came up with a powerhouse riff that became the main part in "Wild Desert Bikers." I had the chords for the clean bits in "Clockwise." We never knew how all this stuff would eventually turn out as songs. We just tried to arrange it in a way that made sense. We sure as hell weren't thinking in terms of verses, pre-choruses, and choruses when we did that. It fell to Adam to eventually figure out where the words went. A lot of the songs already had names, which he worked seamlessly into the lyrics. Some of those names were taken from a long list of fantasy band/album/song names that I kept folded up in my back pocket. "Crooked House" and "Wild Desert Bikers" both come from that list. There's some great stuff on the way for the next album. One track, "Squidbillies," is built on a powerhouse bass riff that Garry wrote, plus some wicked pull-off licks by Mike. Another tune, "Strange Shuffle," is one reason why we've coined the term "Raymond" as an adjective. The best way to describe "Strange Shuffle" is that it's very Raymond. And then there's "K.A.I.O.F.," based on a riff I wrote that intentionally stacks minor and major sevenths on top of each other. 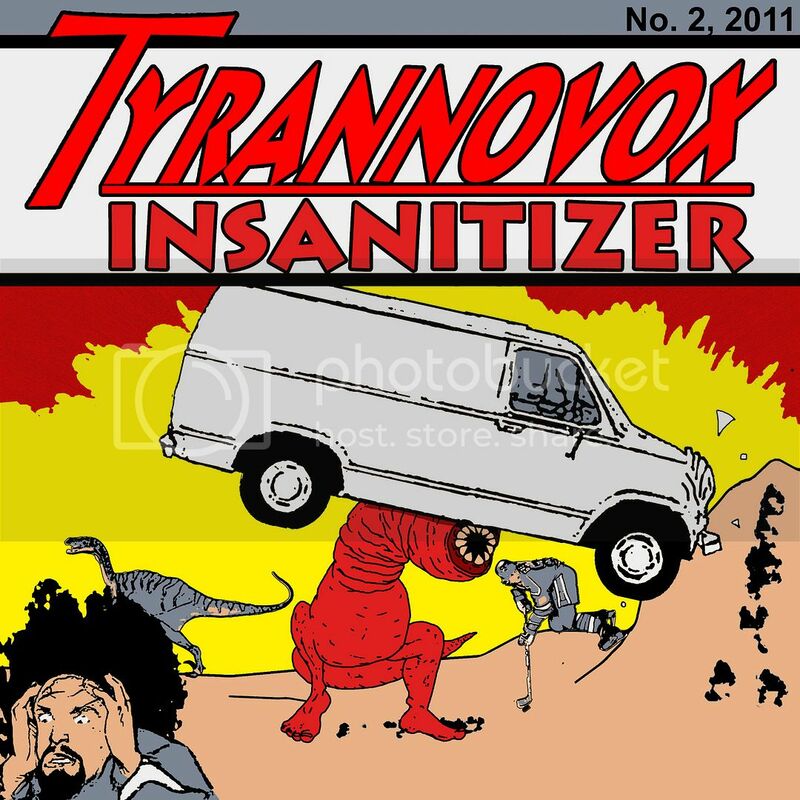 I know it sounds complicated, but you don't need a degree in music to feel the weirdness. But enough spoilers. Until the new album comes out, the only way to hear the new stuff is to come out and see us. 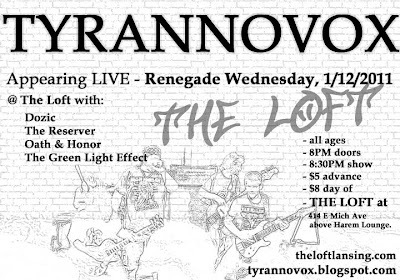 Remember: we play at The Loft on Jan. 12!